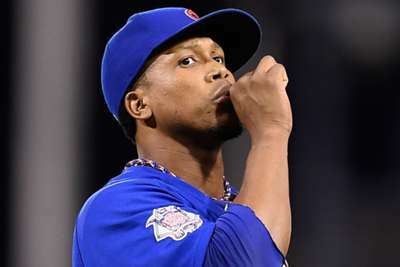 Chicago Cubs closer Pedro Strop left Thursday's 4-3 win over the Washington Nationals with a hamstring injury and is expected to miss some time. 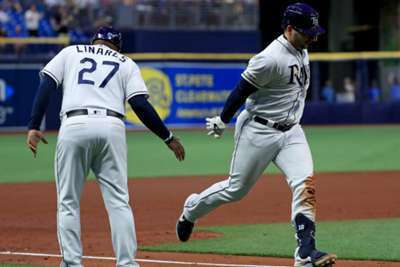 Manager Joe Maddon said after the game that Strop was dealing with hamstring soreness and is expected to undergo an MRI. Maddon expects Strop to miss "a couple weeks". Strop suffered the injury running the bases on Thursday. Strop had been filling in at closer after the injury of Brandon Morrow, who has still not returned to action. Strop has 13 saves and nine holds this season while posting a 2.26 ERA. Maddon said he did not know who would close games in Strop's absence, but Steve Cishek and Carl Edwards Jr. seem the most likely to earn save chances. The Cubs won on Thursday in the 10th inning off a bunt singe by Javier Baez. They lead the Brewers by 1.5 games in the National League Central.